The information obtained in this book is not, nor is it intended to be legal advice. You should always consult an attorney for individual advice regarding your own situation. You may reproduce materials available at this site for your own personal use and for non-commercial distribution. All copies must include the copyright notice as listed above. state after I am injured? back to work again at any type of job? in a workers’ compensation case? stockholder of his employer corporation in a third- party case? Who Is Entitled to Workers Compensation Benefits? Any employee injured on the job is entitled to workers’ compensation benefits regardless of whether the accident is the fault of the employer or the fault of the employee, unless the employee is guilty of gross misconduct. There is no time limit as to how long a workers’ compensation case will take. Because the case can stay open for the rest of your life, some case have continued for 20 or 30 years or longer. The general flow of a workers’ compensation case is as follows: The claimant treats with the Doctor until the doctor decides claimant is at maximum medical improvement and will not get any better or until the claimant stops treatment on their own. The claimant is paid for all time missed until they go return to work. The timing of these two steps is totally within the control of the doctor and claimant. Once the claimant has completed treatment, then a determination has to be made about whether claimant can return back to the type of work they performed at the time of the accident. If the Claimant can- not return to the type of work they performed at the time of the accident, then claimant will go through the vocational rehabilitation process. The vocational rehabilitation process timing depends upon how long it takes you to find a job or how long your retraining program is although retraining is limited to two years. Once your treatment is complete and you are back to work, then you can move forward to receive your permanent injury award. In order to get the permanent injury award, you need to obtain a rating from a Doctor picked by your lawyer who will hopefully give a favorable rating. Then the insurance company will schedule a rating with an insurance company doctor and then your case will be scheduled for a hearing. This process takes about 3 to 6 months. Once you have your actual hearing, the decision from the Workers’ Compensation Commission can take as long as 30 days. The Insurance company then has 15 days to pay the order. If the decision of the Workers’ Compensation Commission is appealed, appeals can take as another long as one and one half years to resolve. If you settle your case, it usually takes about six weeks from the date of settlement to get a settlement approved and money paid. If the settlement also requires Medicare approval, then you can add another 60 to 90 days to the process. Even after there has been a permanency award, the case normally stays open, so that the case in theory still continues. I have had cases that have been open for my entire legal career because the client has repeatedly had to reopen the case. Cases stay open with regard to money for a period of five years from the last time you received money. So, if in a workers’ compensation five years passes without you receiving any money, your case will close with regard to money only, although your right to medical treatment will continue for the rest of your life. The short answer to the question of how long do Workers Compensation cases last is anywhere between one year for the shortest case or until death in the longest case. In occupational disease claims employees or dependents of employees who have died have two years from the date of disablement or 2 years from when the employee or dependent had actual knowledge that the disablement was caused by the employment to file a written claim on Maryland Workers Compensation forms with the Maryland Workers Compensation Commission. In accidental injury cases the written claim on Maryland Workers Compensation forms with the Maryland Workers Compensation Commission must be filed within two years of the date of accident. Limitation may be different in death claims. Limitation can sometimes be extended if employer did not file a timely first report of injury or if the employee was misled by employer or insurance company about the need to file a claim with the workers’ compensation commission. Please note it is not enough to file the claim with the insurance company, the claim must be filed with the Workers Compensation Commission in order to preserve the statute of limitations. It will be awesome if the insurance company always did in a timely manner what the law requires them to do. However, is very common for the insurance company not do what they’re legally required to do. That is why it is important to have an attorney from the beginning of your workers’ compensation case. The attorney fee in a Worker’s Comp. case is the same whether you get an attorney in the very beginning of your case or you wait until the end of your case when it’s time to get your permanency award. So why wait. If you wait until a problem develops in your Worker’s Compensation case it will take the lawyer at least a month or two to gather the necessary information in order to represent you. This will result in an unnecessary delay in your case. If you had a lawyer from the beginning, he should be gathering the records from the beginning and therefore would be ready to deal with any issue as it develops. If you have a good lawyer, he/she will be able to anticipate problems before they happen and either solve the problem in advance or request a hearing immediately so that there is little or no delay. Insurance companies fail to do their obligations for many reasons. The first reason is usually because they don’t have the proper documentation they require in order to do their job. An Insurance company is a big entity. Each insurance adjuster has a supervisor that looks over their shoulder. There are rules that every insurance adjuster has to follow. One of those rules involves not paying any benefits until the proper documentation is submitted. The rule is if it is not in the adjustors file, then it does not exist. Proper documentation requires that before any payments are made by the adjustor, the employee must actually file a written claim on Maryland Workers Compensation Commission employee claim form. Another insurance company rule is before a person is paid for any lost time from work, they need to provide a medical report and off work slip. If you don’t have the proper medical documentation then you will not get paid. If you don’t have the prescription from the doctor requesting a certain treatment than you will not receive the treatment your doctor is requesting. The next reason why insurance companies fail to do their obligations, is because insurance adjusters tend to be overworked and have too many cases and don’t have the proper amount of time to spend on each case. In addition, insurance adjusters may be lazy and may not give your case the amount of time that it needs. Because of this, you need to have an attorney who stays on top of the adjuster to make sure that they fulfill the obligations they owe to you. The bottom line is, the answer to the question why does the insurance companies fail to do their obligations, is because the insurance company really only looks out for their own interests and is not in business to satisfy the needs of the claimant. The job of the claimant’s attorney is to satisfy the needs of the claimant. Maryland Law provides that it is actually a criminal offense to fire someone for filing a workers’ compensation claim, subject to one year in jail and One Thousand Dollar ($1,000.00) fine. However, if an employer needs to replace an employee because the employees job is essential and the employer need someone to do the work, the employer does have the right to replace the employee and that may result in the employees’ job being not available when the employee returns back to work. If you can prove that your employer fired you specifically for filing the claim only, then you may have a right to file criminal charges, as well as a possible civil suit. If your employer does replace you and you are permanently no longer able to do the job, you may be eligible for vocational rehabilitation. If you are able to physically do your old job, but the employer replaced you, you may be eligible for unemployment benefits. In order to avoid job loss when injured on the job it is essential that the employee keep the employer informed on treatment status and return to work status. Frequent contact with your employer is the key. If your employer never hears from you, they may assume you are not coming back to work and look for someone else. Remember that your employer hired you for a reason. The reason is because they need you. When you are out, the need still remains and the work still needs to be done. Keep this in mind and try to go back to work as soon as it is physically possible. The longer you are out of work the more likely it is that you will be replaced. Your average weekly wage is calculated by adding the last 14 weeks of gross pay before the accident together and then dividing by fourteen and this produces your average pay over that period. Workers compensation then pays you two thirds of that number. If you have missed time from work for other reasons during those previous 14 weeks than this will affect the amount you are paid while you are off. If you worked more hours around the time of the accident but less hours for other weeks this will affect the average. Overtime is included as long as it occurred within the 14 weeks. Vacation or sick time for which you were not paid may be excluded from this calculation. Temporary Total may be paid despite an unemployment claim. The entitlement triggers for unemployment and temporary total are different. 1) Temporary Total must be unable to perform the duties of the pre-injury employment. 2) Unemployment: must be ready, willing and able to be gainfully employed. An Employee can be ready willing and able to do some new career which will meet his work injury restrictions but still be temporarily unable to do his old job. If the employee is actively looking for new job while still under treatment for old job there is nothing inconsistent in asking for both benefits. But you must disclose to the insurance company immediately if it is your intention to collect both so that it does not look like you were trying to perpetrate a fraud by hiding the unemployment claim. When you do not make a full disclosure up front you open the door for the insurance company to argue you could have been working at your old job since you are telling unemployment you are ready, willing and able. There is a huge amount of overlap between these definitions. Temporary Total does not require abject helplessness, and everyone is capable of some kind of work. The Workers Compensation Commission looks for an intent to game the system. I had a claimant whose claim was contested and was otherwise entitled to temporary total, but he was also looking for employment in jobs that would fit his limitations. He disclosed receiving unemployment, and we told the insurer. The insurer fought temporary total at the hearing, however, the Insurer did not strenuously fight my request that the Workers Compensation order temporary total be paid at the rate of the difference between unemployment and the temporary total rate. Be aware that, if a claimant pursues unemployment benefits, he might not be able to get Temporary Total, but you can try. Each Commissioner has their own interpretation of the law. There are times when either your treating doctor or a doctor chosen by the insurance company releases you to return to work light duty. This raises several scenarios. Scenario #1. The treating doctor releases you to return back to work and the employer has light duty, then the employee will return back to work light duty. Scenario # 2: the treating doctor releases you to return back to work on light duty and the employer has no light duty. – Employee remains out of work and gets paid temporary total. Scenario # 3: the treating doctor keeps you off work however the insurance company doctor says you can go back to work on light duty. – In that situation, I advise client to try and return to work on light duty. If the employer actually provides light duty that meets your restrictions, most of the time the claimant is able to do the light duty and no problem develops. There are scenarios where the employer says he can meet the light duty restrictions but fails to do so and then at that point the claimant can go off work again and either the insurance company will now pay him because the employer did not provide light duty or he will easily prevail at a hearing. If you fail to go back to work and at least try to do light duty then in that situation the insurance company is not going to pay you and we will have to request a hearing. More likely than not it will take two or three months get a hearing. At that hearing, there is no guarantee that the commission will find in your favor. If you don’t even try to go back to work on light duty the employer can testify that he would have been able to meet your restrictions and you will have no way to rebut that testimony. In order to put the pressure on the insurance company, it is important to at least try to return to work light duty and then if they do not meet the restrictions set by the doctor you have an excuse to go off from work again and enhance your ability to prevail at the hearing on the issue of being paid for lost time. I was injured on their job! I occasionally will have a client who will say, I was injured on their job so they’re going to have to pay. The basic thought pattern by the client is because they were injured on the job they can be as uncooperative as they want to be and they’re going to get paid no matter what. This type of attitude will result in the client receiving little or no money. Just because you were injured on the job does not put you in a position of strength where you can act like a jerk and everyone has to put up with. Worker’s Compensation has to be a cooperative effort between all parties including the employee, the employer, and the insurance company. As soon as one of the parties tries to take advantage of the situation the whole system of cooperation brakes down. The claimant who needs his pay each week is usually the one who suffers as he is the one party who can least afford to not get paid or not get treated. The employer did not purposely hurt anyone. Just because you were injured on the job doesn’t mean your employer will keep your job open for you. Just because you were injured on the job that does not mean you can do whatever you want. Being injured on the job does not give you a license to be a jerk. The workers’ compensation insurance company is responsible to pay for your medical treatment for the rest of your life, as long as the medical treatment is related to the work-related accident. If you reach a full and final settlement agreement with the insurance company, then those medical expenses could be closed. Most workers’ compensation cases stay open and can only be closed at the request of the employee. Some Workers Compensation cases are closed and the medicals are left open or a medical set aside is set up to pay the medical expenses. Under the Maryland Workers’ Compensation law the employee has the right to choose whatever doctor he would like to see, as long as the doctor is willing to accept payments under the Maryland Workers’ Compensation fee schedule. In addition, the employer has the right to have the injured employee seen by one of their doctors in order to determine if the treatment that the injured worker is receiving is necessary and reasonable, however, they have no right to demand that you treat with the doctor chosen by the insurance company. It is not unusual for the insurance company to try and limit the amount of treatment you receive or refuse to authorize a visit to a doctor of your choice. Most doctors’ offices will not see you without a prior authorization from the insurance company, although prior authorization is not required by Maryland Workers Compensation law. Doctors fear they will not get paid unless there is an authorization. While this is not required by law, doctors do not want to have to go to court in order to be paid. Lawyers who handle workers’ compensation cases on a regular basis have a list of doctors that do not require a pre- authorization before they will see you. Even after you receive a permanent injury award you still have a right to go back to the doctor for additional treatment for the rest of your life as long as the treatment is related to the accident and the medical portion of your case has not been settled. While the right to causally related treatment exists for the rest of your life, the insurance company will make every effort to deny such treatment, especially after you have received your permanent injury award. Ambiguity of whether a medical service or treatment falls within the statute is resolved in favor of the claimant. Breitenbach v. N. B. Handy Co., 366 Md. 467 (2001). R&T Constr. Co. v. Judge, 323 Md. 514, 531, 594 A.2d 99 (1991): Court favored broad interpretation of “medical services” despite cited case law from other jurisdictions which adopted a narrower reading. Quadriplegic claimant received additional compensation for increased electric costs from respirator (to operate reasonably necessary medical equipment), but was denied a specially equipped van and other requested home modifications which were deemed not medically necessary because claimant already had a full-time attendant. Claimant’s doctor testified as to the medical need to provide access to the bathroom. The testimony also indicated that claimant could not navigate the narrow doorways to his home. KEY: To the extent the modifications to claimant’s house were necessary to provide access to the bathroom or to get in and out of the house, the court found these were reimbursable. However, the proposed modifications that provided quality of life, but not medical necessity, were not reimbursable. Language for denial of home modifications: “[*531] We further recognize that a body of professional and public opinion supports “mainstreaming,” to the fullest extent possible, for severely disabled persons. We remain mindful that the act is to receive a liberal construction. Nevertheless,HN8in the area of modifications to a residence, the concept of medical treatment under § 37(a) must be limited to access for Here the purpose of the possible improvements goes beyond the necessities already being provided, and seeks to give Judge a sense of increased independence and self-worth. Under the circumstances here that goal is beyond the process of construction of § 37(a). Were we to depart from the standard of access to necessaries that may [***28] be implied in medical treatment, there would be no statutory standard to guide the Commission in determining the extent of an insurer’s obligation to make alterations to a claimant’s residence. Consequently, on the issue of modifications to the Judges’ home, the Commission reached the legally correct result. Language and case law support for denial of van(*532): “The rationale for our holding concerning further modifications to the residence furnishes the answer to the issue involving a specially equipped van. The insurer currently transports Judge by van approximately once a week to Judge’s physician. Measured by a standard of necessity, that weekly transport is the out-of-doors mobility equivalent of wheelchair access into, and within essential parts of, a home by one who is not as severely limited as is Judge. Increased mobility will certainly improve the quality of Judge’s life, HN9but a specially equipped van is not an “other prosthetic appliance [,]” as the Court of Special Appeals held. Simmons v. Comfort Suites Hotel, COA (2008): Home alarm detector determined as a matter of law to fall within the meaning of “medical services” under WC Act for its purported medical benefit. Court below to decide if system necessary for this particular claimant. What happens with medical treatment if I move to another state after I am injured? If you move to another state after you are injured on the job, you are entitled technically to treatment in whatever state you live in. However, the insurance company only has to pay for the treatment at the pay rate as authorized by the Maryland fee Schedule which is set each year by The Maryland Workers Compensation Commission. It can be difficult to find doctors in other states to agree to accept payment under the Maryland fee schedule. If you can- not find anyone you may have to come back to Maryland to receive your treatment. Mileage will only be reimbursed from your old residence not your new state. In a personal injury or a worker’s compensation claim, insurance companies typically set up the plaintiff or claimant for an evaluation to be done by the insurance company doctor. Insurance companies call this an independent medical evaluation; however, this is actually an insurance company’s medical evaluation. The insurance companies carefully and deliberately pick what doctors they want to perform specific evaluations. Most of these doctors are not in fact independent, have frequently done work for that insurance company and typically only work for insurance companies, rather than claimants. These doctors solicit business from the insurance companies by offering to do medical evaluations for them knowing that the insurance company will not refer patients to the doctor again unless the medical reports are favorable to the insurance company. Insurance companies usually schedule independent medical evaluations when they are skeptical of the claimant or plaintiff’s injuries, when they feel that that injury complained of is not consistent with the medical treatment that been provided to date, when they want to get the injured party back to work, when they would like medical treatment provided to be terminated, when questioning the reasonableness or necessity of any medical bills or treatment, or when they are contesting the causal relationship between the accident and the medical treatment and/or injury. Please note that when you see the insurance company’s doctor you are not seeing him/her for the purposes of treatment or finding an explanation for your medical problems. Insurance companies’ independent medical evaluations are also done in workers’ compensation claims to question whether any permanent injury has been sustained from an accident. The sole purpose of this evaluation is to determine what if any permanent disability you have as a result of the work related accident. Please make sure that when you have a medical evaluation scheduled with the insurance company, you keep the appointment. Failure to keep the appointment can result in suspension of your workers’ compensation benefits, refusal of the insurance company to pay your medical bills, postponement of your hearing, and/or you being held responsible for the doctors’ fee for your failure to appear. Although most doctors are supposed to be honest, the fact remains that they have been selected by the insurance company to perform this exam because they have given favorable results in the past. Some doctors are very conservative in nature and are generally biased against people who are injured in automobile accidents or work related injury. Be sure that when you go to an independent medical evaluation you are honest, polite and cooperative with the doctor. If you try to lie or fake your injuries or exaggerate your injuries during the exam, the doctor will certainly recognize this and will undoubtedly mention it in his report. Do not be evasive in the medical examination and/or in your answers to the questions the doctor asks and always try to maintain eye contact when speaking with the doctor. Although it is unlikely that the doctor will help you in your case even if you are cooperative, it is even more unlikely that he/she will be helpful if he/she doesn’t like you or believes that you are not being truthful. Prior to attending an independent medical evaluation, please prepare yourself for questions regarding your medical history such as details about any prior injuries, other medical treatments, testing or test results. Let the doctor know what parts of the body you have injured, your symptoms, times when your injuries cause you pain, any movements or activities that aggravate your injuries, any medication you take to mitigate pain, and what activities, if any, are limited or affected. When answering the doctor’s questions, make sure to answer each question carefully and ask the doctor to rephrase the question or provide clarification if any of those questions appear unclear or confusing. Do not give long or elaborate answers to any of the doctor’s questions; rather, give each question an appropriate answer. Maintain courtesy and honesty throughout the interview by responding to a “yes or no” question with a yes or no answer and by responding to a short, to-the-point question with a short and to the point answer. When telling the doctor what your complaints are, describe each area fully and discuss at what times you experience problems. It is your responsibility to let the doctor know what causes your pain to flare up even if you are not in pain at the time of your evaluation. Do not under any circumstances exaggerate your injuries; doctors have ways of testing to see whether you are making up your complaints. On the other hand, don’t underestimate your pain and don’t be the type of person who doesn’t like to complain. These doctor visits are set up exclusively for you to tell the doctor what complaints you have as a result of the accident, so it is important to be truthful and forthcoming. Behave consistently during your entire exam from the minute you park your car in the parking lot to the minute you leave the parking lot for the final ride out. Doctors who do independent medical evaluations are trained to observe the patient in the parking lot, in the exam room and the waiting room. Rehabilitation Nurse. They are often hired by the insurance company and sometimes work inhouse at an insurance company. While they are paid by the insurance company, they have a separate ethical obligation under nursing ethical rules to do what is in the best interests of the claimants’ health. Claimant is encouraged to cooperate with the nurse. Claimant can often ask the nurse to get treatment approved by the adjustor. While an adjustor will normally not approve treatment without a medical report from the doctor, when the rehab nurse is involved the adjustor will often approve treatment based upon rehabilitation nurses’ recommendations because the nurse was present during the medical evaluation. While the nurse has a right to attend your medical appointment, they do not have a right to be in the room at the same time. If you want them to wait until you are done let them know in advance so that they can schedule their own time with the doctor. It can often be helpful to have the nurse in the room when you are seeing the doctor, as the nurse has training on asking the doctor the right educated questions that you may not think of and it would be helpful if you are present when the nurse asks the doctor the questions. Vocational rehabilitation Counselor-They have to be agreed upon by both parties. Their job is to determine whether you can return back to your old job or employer or come up with a plan to find or train you for new work. While they are required to work for the benefit of the employee they do not have the same ethical obligation as the rehabilitation nurse, so be careful what you tell them that is not directly related to the case. Workers Compensation Commissioner- judge who decides your case if the parties are unable to agree. He is the umpire in your case. While the workers’ compensation law and system is set up to protect the employee, the commissioners job is to be fair to all sides and rule based upon the law. When you are unable to return back to the type of work you were doing before the work-related accident, the insurance company will assign a vocational rehabilitation counselor to assist you in your job search. You and your lawyer do have input on who will be your counselor. Once a counselor is chosen, you will meet with the counselor. In theory, your counselor is an expert on what types of jobs are available for people with your physical limitations, education, work experience, transferable skills, and age. They also know the availability of such jobs in your area as well as how much they pay. These counselors can be extremely helpful in guiding you in the right direction. Too often, employees continue to look at jobs that they once were able to do but can no longer physically do. The vocational counselor is an excellent resource to lead you in a new career direction that you may not have thought of on your own. It is not the job of the counselor or your former employer or the insurance company to provide you with a new job or give you a job, but only assist you in your search. While participating in your search, you will continue to receive temporary total benefits. In fact, you are being paid by the insurance company to look for work and you must make it your full- time job to do so. In order to prepare for a permanent injury hearing, the claimant is sent to a doctor by both the claimant’s attorney and the insurance company for a permanent impairment rating and then the case is scheduled for a hearing. At a workers’ compensation hearing any medical records are automatically admissible without the necessity of bringing the doctor in to testify. Normally, the claimant testifies first and will testify as to what injuries they received, how they received those injuries, what medical treatment they had and what period of time, if any, they were off from work. On a claim for permanency the claimant will testify as to any permanent complaints they have. The insurance company lawyer will then be able to ask the claimant questions regarding any prior injuries they may have had, any treatment that they may need in the future, whether they had any other accidents after the accident. A typical workers’ compensation hearing may be as short as five or ten minutes or can last as long as one or two hours. Permanent injury awards are based upon a percentage of disability to a certain part of the body. Each part of the body has a different value (meaning a different number of weeks) for a total loss of that particular body part and when the Workers’ Compensation Commission finds a certain percentage of that body part that translates into a certain number of weeks. For instance – the back is worth five hundred weeks and if the Commission awards you ten percent disability of the back, that would be equal to ten percent of five hundred weeks which would be fifty weeks. How does the Workers’ Commission determine how much money is paid each week as part of the permanency award? Permanency awards are divided into four different categories. The first category is seventy-four weeks of benefits or less, which is typically an award of fourteen percent or less and those are paid at the lowest rate per week. The next tier of benefits is any award from seventy-five weeks to two hundred and forty-nine weeks which is typically an award of fifteen percent to forty-nine percent and those awards are paid at the second- tier rate. Awards of fifty percent due to the accident and higher are paid at the third- tier rate and the highest rate. Finally, permanent total benefits are paid also at a high rate and are paid for the rest of your life. Permanent Total Disability-What happens if I can never go back to work again at any type of job? Do I have the right to obtain my own lawyer for my workers’ compensation case? Under Maryland workers’ compensation law the employee has the right to hire an attorney of his own choice. There are lawyers who specialize in representing claimants in a workers’ compensation case. While the Maryland attorney ethics laws do not allow lawyers to represent themselves as specialists since there are no certification tests in Maryland, there are lawyers who practice concentrates on representing claimants in workers’ compensation cases and an employee should retain an attorney with that experience. What if I cannot afford to pay an attorney to represent me in a workers’ compensation claim? An attorney may not charge an up -front attorney fee in order to represent someone for a workers’ compensation claim. Any attorney fees for a workers’ compensation claim are regulated by the Workers’ Compensation Commission and are based upon a fee schedule set by the Commission. The attorney fees are based upon a percent of any permanent injury award that is made in the workers’ compensation claim and if there is no award there can be no attorney fee. Fees typically start at 20% of the permanent injury award and if there is no permanent injury award there is no fee. If there is a hearing in order to get the claimant paid for lost time from work the workers’ compensation commission may also award an additional 10% fee of any lost wages ordered. Should I get an attorney for my workers’ compensation claim? The employer and the insurance company will have an attorney to represent them in these particular matters. The Workers’ Compensation Commission has Commissioners who are bound by the Maryland Workers’ Compensation Law. Workers’ Compensation Law is very complicated and is usually a specialized area that only certain attorney’s practice in. A person who is injured on the job and goes to a workers’ compensation hearing without an attorney will be at an extreme disadvantage since everyone else at the hearing will be an attorney, including the Workers’ Compensation Commissioner, as well as the employer’s attorney. If you do attend a workers’ compensation hearing without an attorney, you will be called up to the front of the courtroom and told of your right to ask for a postponement to obtain an attorney and most commissioners will attempt to influence you to obtain an attorney. In addition to the requirement of an accidental injury, there are two other elements in order to sustain an accidental personal injury and those elements include, arising out of the employment and the second element is in the course of the employment. “Arises out of” refers to the causal connection between the employment and the injury. An injury arises out of employment when it results from some obligation, condition, or incident of employment. Montgomery County v. Wade, 345 Md. 1, 9-10, 690 A.2d 990, 994 (1996). The phrase” ‘arises out of’ requires, not that the performance of an employment-related task be the direct or physical cause of the injury, but, more broadly, that the injury be incidental to the employment, such that it was by reason of the employment that the employee was exposed to the risk resulting in the injury.” Mulready v. University Research Corp., 360 Md. 51, 57, 756 A.2d 575, 578 (2000). Livering v. Richardson’s Restaurant, 374 Md. 566, 823 A 2d 687 (2003). In Mulready, in the context of a traveling employee, we noted that ‘[u]under the positional-risk test, ‘an injury arises out of employment if it would not have occurred if the employee’s job had not required him to be in the place where he was injured.” 360 Md. at 59, 756 A.2d at 579. The positional-risk test is essentially a ‘but for’ test. Professor Larson best described this test as follows: “an injury arises out of the employment if it would not have occurred but for the fact that the conditions and obligations of the employment placed [the employee] in the position where he [or she] was injured.” A. Larson, Workers’ Compensation Law § 3.05 (2002). The positional-risk test also encompasses injuries that occur during activities incidental to employment that are not specifically required by the employment. COURSE OF EMPLOYMENT INJURIES Under Maryland case law injuries are considered within the course of employment when: (1) They occur on the premises during a lunch or recreation period as a regular incident of the employment; or (2) The employer, by expressly or impliedly requiring participation, or by making the activity part of the services of an employee, brings the activity within the orbit of the employment; or (3) The employer derives substantial direct benefit from the activity beyond the intangible value of improvement in employee health and morale that is common to all kinds of recreation and social life. Arthur Larson, Workers’ Compensation Law § 22.01 (2001). In Mulready “An injury arises “in the course of employment” when it occurs: (1) within the period of employment, (2) at a place where the employee reasonably may be in the performance of his duties, and (3) while he is fulfilling those duties or engaged in doing something incident thereto. Pertinent inquiries include: When did the period of employment begin? When did it end? When was its continuity broken? How far did the employee, during the period of employment, place himself outside the employment? Thus, “in the course of employment” refers to the “place, time and circumstances under which the accident resulting in the injury or death occurs.” Id. In Mulready v. University Research Corp, 360 Md. 51, 57, 756 A.2d 575, 578, a traveling employee sustained an injury after slipping in a hotel bathtub. Id. at 53-54, 756 A.2d at 576. Mulready was staying in the hotel to conduct employer business but was not actively engaged in work at the time of her injury. The parties agreed that her injury occurred in the course of her employment but disputed whether it arose out of that employment. The court reasoned that her personal act of bathing was reasonably incidental to the travel required by her employer. Id. at 66, 756 A.2d at 583. In effect, but for her travel, Mulready would not have been injured. They held that her injury, which resulted from an incident of her employment, arose out of employment. In Knoche v. Cox, 282 Md. 447, 455, 385 A.2d 1179, 1183 (1978) the employee was “killed when the dentist for whom she worked accidentally fired a gun that he had been showing to a patient. The bullet struck the hygienist as she was cleaning up dental powder.” The court concluded “that the term ‘arises out of’ requires, not that the performance related task be the direct or physical cause of the injury, but more broadly that the injury be incidental to the employment, such that it was by reason of the employment that the employee was exposed to the risk resulting in the injury.” Mulready at 578. In Austin v. Thrifty Diversified, Inc., 76 Md. App. 150, 543 A.2d 889 (1988), the parents of John Austin (“John”) brought a claim against John’s employer for their late son’s wrongful death. Id. at 152. On the date of his fatal injury, he received permission to use his employer’s welding equipment to repair a friend’s automobile exhaust system. Id. Shortly after John’s shift ended, while still on his employer’s premises and while working on his friend’s exhaust system, John was electrocuted by faulty welding equipment supplied by Thrifty Diversified, Inc., t/a Better Engineering (“Thrifty”). The issue presented was whether John’s death arose out of and in the course of his employment. The court found the claim to be compensable because the deceased’s death “would not have ensued if it had not been for the employment”; it was only because John was an employee of Thrifty that he was permitted to use Thrifty’s equipment, on the premises, for a personal project. Id. The Maryland courts also rely on 5 key factors that were outlined in Moore’s Case, 330 Mass. 1, 110 N.E.2d 764 (Mass. 1953). Sica v. Retail Credit Co. 245 Md. 606, 227 A.2d 33 (1967), The five Moore factors are: (1) The customary nature of the activity, (2) The employer’s encouragement or subsidization of the activity, (3) The extent to which the employer managed or directed the recreational enterprise, (4) The presence of substantial pressure or actual compulsion upon the employee to attend and participate, (5) The fact that the employer expects or receives a benefit from the employee’s participation in the activity, whether by way of improved employer-employee relationships . …through greater efficiency in the performance of the employee’s duties.” Id. In Sica v. Retail Credit Co. 245 Md. 606, 227 A.2d 33 (1967), an employee (Sica) was seriously injured when he dove into shallow water at his employer’s annual picnic. Id. at 611.The picnic, as well as the employees’ Christmas party, were described in Sica’s pre-employment interview as fringe benefits of his employment. Id. at 609. The picnic was organized by a committee of employees with the authorization of the employer’s managers. Id. The cost of the picnic was paid for by the employer, and employees were urged by the employer to attend, although attendance was not compulsory. Id.at 610. On the date Sica was injured, the picnic was held about thirty miles from where Sica usually worked. Id. The Court of Appeals held that the third factor in the Larson Rule had been proven, because the “employer derived substantial direct benefit from the [picnic] activity beyond the intangible value of improvement in employee health and morale common to all kinds of recreation and social life,” thus, Sica was entitled to compensation for his injury. In Coats & Clark’s Sales Corp. v. Stewart, 39 Md. App. 10, 383 A.2d 67 (1978), the Court of Special Appeals considered whether an employee’s (Stewart’s) injuries, sustained on a trip to the grocery store to purchase food for a baby sitter “arose out of and in the course of his employment.” Id. at 14. The babysitter was needed so that Stewart and his wife could attend a dinner party to honor two employees with whom Stewart worked. Id. at 11. Stewart was to present a gift to one of the honored employees at the dinner party. Id. The party, scheduled to begin at 6:00 p.m., was to be held at a co-employee’s home, and was paid for by the employer. Id. At 5:00 p.m., while driving an automobile provided by his employer, Stewart was fatally injured in an accident. The trial court determined that the company-sponsored dinner party was sufficiently work related to be an incident of Stewart’s employment. Id. at 17. The Court of Special Appeals agreed, saying: “In our view, the task of obtaining food for a baby sitter is a reasonable and necessary incident to obtaining a baby sitter’s services. Because that task would not have been undertaken except for the obligation of employment.” Id. The court explained that the task of transporting the babysitter, is an integral component of an employee’s attendance at a work-related social event. They held that an employee’s self-contained trip to obtain food for a baby sitter needed to enable him to attend a work-related social event is a special errand or mission. Therefore, an employee’s injury sustained during such a trip is one sustained in the course of his employment and is compensable. Id. According to Professor Larson, one of the most important factors in determining if an activity is connected to employment is the location in which the injury was sustained. When seeking for a link by which to connect an activity with the employment, one has gone a long way as soon as one has placed the activity physically in contact with the employment environment, and even further when one has associated the time of the activity somehow with the employment. This done, the exact nature and purpose of the activity itself does not have to bear the whole load of establishing work connection, and consequently the employment-connection of that nature and purpose does not have to be as conspicuous as it otherwise might. 4 Arthur Larson, Workers’ Compensation Law § 22.03 (2001). Larson further reasoned that if the recreational activity takes place somewhere other than the place of employment, several hours after the day’s work has ceased, then the claimant must show an independently convincing association with the employment to overcome the initial presumption of disassociation with the employment established by the time and place factors. According to Larson, time and place, two overt physical indicia of course-of-employment, are strong factors identifying an activity with the employment. If both [time and place] are present, that is, if the game is played on the premises during a lunch or recreation period, compensability has been seen to be clear. But even if only one of the two elements are present, the case has made a very strong start. Thus, if the game is played outside hours, the fact that it is played on the premises is a heavy, although not necessarily decisive, weight on the side of coverage, and may offset a serious deficiency in some other component of the case.” Id. In McNamara v. Town of Hamden, 176 Conn. 547, 398 A.2d 1161 (Conn. 1978), the Supreme Court of Connecticut considered whether an injury sustained while an employee was playing ping-pong on his employer’s premises arose out of and in the course of his employment. Id. The claimant’s work day was from 8 a.m. to 4:30 p.m. Id. Approximately eighty of the claimant’s co-employees were in the habit of assembling at their employer’s garage before work about 7:30 a.m. every day. Id. Several months prior to the date of injury, this group of employees received permission from the employer to purchase a ping-pong table and accessories at the employees’ own expense, and to install the table in the garage. At 7:55 a.m. on the date he was injured, the claimant tripped and fell while playing ping-pong; he claimed workmen’s compensation benefits for lost time from work and medical expenses due to his fall. Id. Given that the employer sanctioned the ping-pong games by regulating permitted playing times, by allowing equipment on the premises, and by setting aside actual work hours in the afternoon for the activity, and that the games occurred regularly on the employer’s premises, the court held that sufficient facts existed upon which to conclude that the games were an incident of the employment. Id. The court concluded by outlining a rule for determining whether an activity is incidental to employment: “If the activity is regularly engaged in on the employer’s premises within the period of the employment, with the employer’s approval or acquiescence, an injury occurring under those conditions shall be found to be compensable.” Id. In Nazario v. New York State Department of Correction, 86 A.D.2d 914, 448 N.Y.S.2d 531 (N.Y. App. Div. 1982), a prison guard’s injury sustained during a softball game was determined to be compensable. The court outlined the relevant factors; the claimant’s team was comprised exclusively of co-employees and was managed by a sergeant at the facility, participation was voluntary, however, the claimant testified that the essential purpose of the team was to promote employee morale. Id. The claimant further stated that written application to the superintendent of the institution was necessary for approval to use the field. Id. The employer acquiesced in the use of its name on T-shirts worn by team members, but the employer did not provide financial support. Game scores and schedules were posted on the employer’s bulletin board. The Nazario court affirmed the lower court’s decision in favor of the claimant, holding that; the determination of whether claimant’s accident arose out of and in the course of employment presents a factual question for the board. Pertinent herein is the fact that the employer could terminate the athletic activities on its premises at will. Moreover, it is not insignificant that the activity benefited [sic] employer-employee relations. In our view, there is substantial evidence to sustain the determination of the board. The essential nexus between the softball game and the employer has been established. Id. In Mack Trucks, Inc. v. Miller, 23 Md. App. 271, 326 A.2d 186 (1974), an employee of Mack Trucks ruptured a kidney during a lunch break while playing touch football on a plot of land owned by the employer and located near the plant where the employee worked. Id. at 272. Football had not been expressly authorized by Mack Trucks, but the employer’s safety director had been a spectator at previous games – which had been going on for three months prior to the claimant’s injury. Id. Judge Lowe, explained that “Not only do the employer’s actual knowledge and acquiescence establish the recreational activity as an “incident of employment,” but the period over which it had persisted would, itself, permit that inference.” 1 Larson’s Workmen’s Compensation, § 22.12; citing Moore’s Case, 330 Mass. 1, 110 N.E.2d 764, analyzed and relied upon in Sica v. Retail Credit Co. 245 Md. 606, 227 A.2d 33 Md. (1967). The court found that the injury sustained in this case was compensable under part one of the Larson Rule. Id. In King Waterproofing Co. v. Slovsky, 71 Md. App. 247, 524 A.2d 1245 (1987), Slovsky was struck by a car while crossing a highway. Id. at 249. Slovsky was working a four-hour shift from 4:00 p.m. to 8:00 p.m. on the day of his injury. Id. At 6:30 p.m., during a paid meal break, he was struck while going to a carry-out restaurant located across a public highway from his office. Id. The Commission found that Slovsky’s injury arose out of and in the course of his employment, and on appeal, the trial court agreed and granted summary judgment in favor of Slovsky. King Waterproofing Co., 71 Md. App. 247 at 251-52. This Court framed the issue for consideration as whether the employee sustained an accidental injury while engaged in some personal comfort activity incidental to his employment. Id. They likened the facts of the case to prior cases where courts had said, in dicta, that an injury sustained during a coffee break on the employer’s premises is deemed to have arisen out of the employment. Id. (citing Mack Trucks, Inc., supra, and Sica v. Retail Credit Co. 245 Md. 606, 227 A.2d 33 Md. (1967), supra. The Slovsky court reasoned: If an injury that occurs during an on-premises coffee break can arise out of employment, in the sense that it results from an incident of the employment, it follows that an injury sustained during an off-premises coffee break also can arise out of employment. There would appear to be a greater likelihood, however, that an employee who leaves his employer’s premises during a coffee break or rest break may depart from the course of his employment. Id. The appellants argued that it was unnecessary for Slovsky to leave the employer’s premises to obtain refreshments because the employer provided coffee and instant soup mixes on the premises. King Waterproofing Co. v. Slovsky, 71 Md. App. 247, 524 A.2d 1245 (1987) Although the employer may have provided certain refreshments, the employer permitted employees to leave the premises, because the limited fare available on the premises did not satisfy those who, like Slovsky, preferred a cold drink. Id. Upon consideration of all the circumstances, the court determined that at the time Slovsky was injured, he was reasonably engaged in ministering to his personal comfort, and that his conduct did not constitute a departure from the course of his employment. Id. at 255-56. The Court found the circumstances in King Waterproofing to be significantly distinguishable from those in Maryland Casualty Co. v. Insurance Co. of North America, 248 Md. 704, 238 A.2d 88 (1968). In Maryland Casualty, the Court of Appeals held that an injury sustained by an employee of a racing stable occurred in the course of employment where the employee was injured while en route by automobile to a restaurant near the race track to have coffee. Id. The employee in Maryland Casualty was on call around the clock and was paid on that basis. Although there was a cafeteria located at the race track, the record indicated that its location was far enough away from the employee’s work area that a car was considered necessary to get there and return. The Court relied on those facts, “coupled with the knowledge of the employer that his employees frequently left the track for coffee and meals and that they did so with his approval,” in concluding that the employee was injured “within the course of his employment.” Id at 708. The court pointed out that the fact that the employee “on call,” and therefore arguably within his employer’s control, was of no practical significance because the employee could not have returned to his place of employment, when summoned, in less than 20 minutes. Id. In Spencer v. Chesapeake Paperboard Co., 186 Md. 522, 528 (Md. 1946) the court stated “if we assume that the fire was caused by a lighted cigarette, then the injury may have arisen from an incident of the employment.” It is recognized that there are many occasions where the employer must expect the employee to resort to the use of tobacco as a common adjunct to the discharge of his employment. Puffin v. General Electric Co., 132 Conn. 279, 43 A. 2d 746; Dzikowska v. Superior Steel Co., 259 Pa. 578, 103 A. 351, L. R. A. 1918F, 888. As the Supreme Court of California stated during the First World War: “Tobacco is universally recognized to be a solace to him who uses it, and it may be that such a one, unless he finally shakes off the habit, cannot perform the labors of his life as well without it as with it. In the present war one of the constantly recurring calls upon the public of the world is for tobacco for the comfort of the participants in the conflict.” Whiting-Mead Commercial Co. v. Industrial Accident Commission, 178 Cal. 505, 173 P. 1105, 1106, 5 A. L. R. 1518. The general rule is that if you are on your way to work and have not arrived or you have left the work premises and are on your way home there is no Worker’s Compensation coverage. The “exceptions” to the general going and coming rule recognized in Maryland are the “proximity rule” and the “premises rule“. The elements of the “proximity rule” were defined by Chief Judge Murphy in Stoskin v. Board of Education of Montgomery County, 11 Md. App. 355, 274 A. 2d 397 (1971), The proximity rule — an exception to the general going and coming rule is that an employee is generally considered to be in the course of his employment while coming to or going from his work, when, though off the actual premises of his employer, he is still in close proximity thereto, and is proceeding diligently at an appropriate time, by reasonable means, over the natural, practical, customary, convenient and recognized way of ingress or egress, either on land under the control of the employer, or on adjacent property with the express or implied consent of the employer. Id. As analyzed in Pariser Bakery v. Koontz, 239 Md. 586, 591, the rule “allows compensation for an injury to an employee when, under the special facts of the case, the employment itself involves peculiar and abnormal exposure to a common peril which is annexed as a risk incident to the employment.” The gravamen of the proximity rule “is not that the employee is in close proximity to his place of employment, but rather that by reason of such proximity, the employee is subjected to danger peculiarly or to an abnormal degree beyond that to which the general public was subjected.” Id. The “premises rule”, also a creature of case law, is designed to allow compensation for injuries sustained before or after actual working hours while on the premises of the employer and/or under an extension of the literal concept of “premises”. Larson, supra, § 15.12; Salomon v. Springfield Hospital, 250 Md. 150, 242 A. 2d 126 (1968); Proctor-Silex Corp. v. DeBrick, supra; Saylor v. Black & Decker Manufacturing Co., 258 Md. 605, 267 A. 2d 81 (1970). Speaking for the Court of Appeals in the Salomon case, Judge Marbury articulated the “premises rule” in the following context: we recognize that ordinarily an employee who has arrived on his employer’s premises as usual, in preparation for beginning his day’s work, is considered to be on the premises and therefore covered by workmen’s compensation even though his actual employment has not begun. . ..” Id. (Emphasis added.) In addition, there are numerous Maryland cases which involve an injury on the employer’s premises while not actually working. An injury arises in the course of employment when it happens during the period of employment at a place where the employee reasonably may be in the performance of his duties and while he is fulfilling those duties or engaged in something incident thereto.’ Inquiries pertinent in this regard include: When did the period of employment begin? When did it end? When was its continuity broken? How far did the employee, during the period of employment, place himself outside the employment? Watson v. Grimm, 200 Md. 461, 466.” Id. at 183-84. Ordinarily an employee who has arrived on his employer’s premises as usual, in preparation for beginning his day’s work, is considered to be on the premises and therefore covered by workmen’s compensation, even though his actual employment has not begun; however, “premises” does not necessarily include all property owned by an employer. Salomon v. State, 250 Md. 150, 242 A.2d 126 (1968). Maryland law recognizes that collecting wages and gathering personal effects are incidents of employment and that on-premises injuries suffered while performing these activities may occur in the course of employment. See Consolidated Eng’g Co. v. Feikin, 188 Md. 420, 52 A.2d 913 (1947); Nails v. Market Tire Co., 29 Md. App. 154, 347 A.2d 564 (1975). Professor Larson echoes this notion, stating that; injuries incurred by an employee while leaving the premises, collecting pay, or getting his clothing or tools within a reasonable time after termination of the employment are within the course of employment, since they are normal incidents of the employment relation.” A. Larson, supra, at § 26.00. Along the same line, the court in Livering v. Richardson’s Rest., 374 Md. 566, 823 A.2d 687 (2003) held that “checking a work schedule is similar to collecting a paycheck or removing personal effects, and checking a work schedule–like collecting wages and personal effects–is incident to employment.” Id. Another line of cases under the premises rule that involves parking lots. In Proctor-Silex v. DeBrick, 253 Md. 477, 252 A.2d 800, an employer’s parking lot in Baltimore County was located across Coolidge Avenue from the employer’s plant and the employee was injured when she slipped and fell as she was crossing from the parking lot to the building in which she was employed, the injuries were held to be compensable. 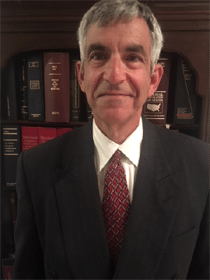 In a comprehensive opinion reviewing Maryland cases and leading cases in other jurisdictions principally involving the subject of “premises”, Judge Smith quoted from Larson, op. cit., supra, § 15.41, with respect to parking lots: As to parking lots owned by the employer, or maintained by the Employer for his employees, the great majority of jurisdictions consider them part of the premises whether within the main company premises or separated from it.” (Emphasis added.). Giant Food v. Gooch, 245 Md. 160, 225 A. 2d 431 (1967); Smith v. General Motors Assembly Division, 18 Md. App. 478, 307 A. 2d 725 (1973). He also discussed the compensability of injuries sustained by an employee while traveling between two parts of an employer’s premises: One category in which compensation is almost always awarded is that in which the employee travels along or across a public road between two portions of his employer’s premises, whether going and coming, or pursuing his active duties. “Since, as shown later, a parking lot owned or maintained by the employer is treated by most courts as part of the premises, the majority rule is that an injury in a public street or other off-premises place between the plant and the parking lot is in the course of employment, being on a necessary route between the two portions of the premises. But if the parking lot is a purely private one, the principle of passage between two parts of the premises is not available, and an employee crossing a public street to get to the parking lot is not protected. An occupational disease is an ailment, disorder, or illness which is the result of work under conditions naturally inherent in the employment and which is ordinarily slow and insidious in its origin. What this means is if you work under the same conditions for a long period of time or do the same type of activity over and over again over a long period of time and this eventually causes the body to wear out or causes some disease to occur and if this condition is very common in the type of work that you do, then these are considered occupational diseases and are a compensable injury covered by workers’ compensation. Another form of an occupational disease occurs when manifestation of symptoms is consistent with those known to result from exposure to a biological, chemical, or physical, agent that is attributable to the type of employment in which the employee was employed. The length of time the employee has been exposed to the hazard of the employment is a key factor. If you develop the medical condition a week after you start working there it is less likely to be accepted as an occupational disease then if you have been working for the employer for a longer period of time. The last issue involved in an occupational disease case is which employer is responsible. You may have done similar work for many different employers over your life. Which one does the law hold responsible? The law in Maryland is the employer with whom the employee had the last injurious exposure to the hazards of the disease prior to the employee first sustaining a disablement and the insurer on the risk at the time of the exposure are responsible to pay all benefits due the employee for the compensable occupational disease. In a situation where you do repetitive work for employer one and while you start to develop symptoms and may get some treatment but you miss no time from work, and then you go to work for a new employer doing the same type of work but now you are worse and start missing time from work, the second employer will be liable for the occupational disease. While the second employer will try their best to show that you had some disablement during the first job in order to avoid responsibility. Finally, Under Maryland Law, there are certain medical conditions, that are presumed to be inherent in the employment and therefore carry a presumption under the law that they are occupational diseases and are therefore considered compensable. Can I be paid for injuries that I had prior to a work-related injury, as well as the work-related injury that I received? You may be entitled to get paid for conditions that existed prior to a work-related accident by a fund called the Subsequent Injury Fund which pays for injuries, diseases or any other conditions that exist prior to injuring yourself at work, as long as these pre-existing disabilities equal at least a twenty-five percent disability to the body and further that as a result of the work-related accident you will also receive a disability of at least twenty-five percent disability to the body. If so, not only will you get paid by the workers’ compensation insurance company for the injuries due to the accident, but may also get paid for these pre-existing conditions that had nothing to do with the accident, but existed prior to the accident. These are paid for by the Subsequent Injury Fund. What is the Subsequent Injury Fund? The Subsequent Injury Fund is a Maryland State Government agency that was set up under the Maryland workers compensation law in order to compensate an employee injured on the job, who also suffers from significant pre-existing conditions. The law recognizes that when employees are injured on the job and already have preexisting conditions before the work- related injury, the total disability from a combination of the work- related injury as well as the pre-existing condition will be far worse than if the only injury the employee had was the work- related injury. As an example, employee A has a preexisting medical condition to his right arm before the new work related accident. Because of the preexisting right arm medical condition, employee A has to rely on employee A left arm in order to do with every day work activities. (compensates for loss of use of one arm by using the other arm for support). Subsequently employee A has a work-related injury to his left arm so that he can no longer compensate for his right arm by using his left arm. Employee with 2 bad arms is potentially more disabled from a combination of the two medical conditions, compared to an employee who only had the work- related injury to left arm and no prior preexisting medical condition to right arm. For the purposes of subsequent injury fund law pre-existing conditions are defined as conditions that existed before the work-related accident. When a result of the combination of the pre-existing condition and the new work related condition, employees condition is now worse than it would have been if he did not have the preexisting condition, the workers’ compensation commission will compensate the employee not only for the disability from the accident, but also for the disability prior to the accident. The requirement is a three-part test. If all 3 tests are met, then injured employee is not only entitled to be compensated for disability from the accident but also for the disability before the accident. I like to refer to this as found money. Most clients know they are entitled to a settlement for disability from an accident. But few clients realize that they may also be compensated for problems they had before the accident that are unrelated to the accident. In order to receive money from the Subsequent Injury Fund, the employee’s lawyer needs a rating from a doctor indicating what the disability was from the accident itself as well as a rating for any disability that existed before the accident date. By way of example, employee A injures at work the right shoulder and the Worker’s Compensation commission finds a 35% disability to the right shoulder as a result of the work- related shoulder surgery. In addition, the Worker’s Compensation commission also determines that prior to the accident the employee had a 25% disability due to heart disease, for a total disability of 60%. The employee would get compensated not only for his right shoulder injury, but also for the heart disease that existed prior to the work -related accident because test one, two, and three have been met. Please note if any of the tests are not met than the employee will not be compensated for the prior (preexisting) medical condition. Example1: if the disability from the accident is 35%, but the disability before the accident is 20%, then the employee will not be compensated for the prior disability because test 2 was not met. Example 2: If the disability from the accident is 20%, but the disability before the accident is 30%, the employees will still not be compensated for the prior medical condition because test one and three were not met. In order for the Worker’s Compensation commission to consider pre-existing condition, that condition must presently be a hindrance or likely to be a hindrance in the future to the employment. As an example, if you been diagnosed with high blood pressure prior to the accident, but you are taking medication for high blood pressure, and the high blood pressure therefore is under control, it is likely that the high blood pressure is not a hindrance or likely to be a hindrance to employment. Another example would be, a hernia in the past which was repaired by surgery and presently having no symptoms. These types of prior medical conditions do not permanently inhibit your ability to work in the past and will not inhibit your ability to work in the future and therefore they will not be taken into consideration when the Worker’s Compensation commission decides whether the subsequent injury fund would be a party even if these disabilities as rated by a doctor exceed 25% because they are not considered a hindrance. Therefore, at a worker compensation hearing not only is it important to complain about a prior medical condition, but it is also important to testify as to how the prior medical condition has hindered you in the past or is likely to inhibit you in the future with regard to work related activities. Often, while a medical condition may not inhibit you in your present job, it is easy to come up with examples of how it could be a hindrance to other work you have done in the past or might do in the future. The next several issues that comes up involving the subsequent injury fund usually arise when there is a claim for permanent and total disability. Permanent total disability is usually the highest award available in a workers’ compensation case. If someone is found to be permanently and totally disabled, potentially the employee could receive monetary benefits for the rest of their life. The Worker’s Compensation commission also has to make a determination as to who pays those lifetime benefits. When the Worker’s Compensation commission finds permanent total disability and further find that some of the disability is from the accident and some of the disability is due to pre-existing conditions, then the employer insurer pays benefits for a fixed period of time and then the Subsequent Injury Fund pays the balance of benefits until the claimant dies. Because the subsequent injury fund has to pay lifetime benefits once employers paid out their portion of the award, the subsequent injury fund attempts to defeat this lifetime benefit by arguing either of the following three situations: 1. some of the claimant’s disability arose after the accident and is not related to the accident therefore that would defeat the lifetime benefit. 2. While the claimant has pre-existing conditions, he is permanently and totally disabled as a result of the accident alone, therefore the pre-existing conditions are irrelevant. 3. Either employee’s pre-existing disability or accident disability does not exceed 25% and therefore the subsequent injury fund would not be a party at all. Situation 1 has been given the name Thomas based on the case of Subsequent Injury Fund v. Thomas 275 Maryland 628, 340 A.2D 671(1975). While the workers’ compensation law may compensate you for disability from an accident as well as disability before an accident it does not compensate you for disability that arose after an accident and is not related to the accident. Thomas involves two situations. Situation A is when the employee has a new accident or medical condition that occurs after the date of the accident and is not in any way related to the accident. As an example, suppose the employee injured his shoulder at work and has treatment for several months and then is involved in a new car accident where employee either re-injures that shoulder or injures a new body part which will likely cause him a permanent disability from the car accident alone. Situation B employee has a prior medical condition before work related accident (as an example heart disease), and then after the accident unrelated to the accident the heart condition gets much and he has a heart attack and there’s no way of proving the heart attack is related to the accident. In either one of these two situations involving Thomas, the employee will not be compensated for any disability that occurred after the accident that is not related to the accident. The only time this really matters is when an employee is claiming that he is permanently and totally disabled. Since the claimant can only be 100% disabled, and since you can only be compensated for disability that was either before an accident or from an accident, is extremely harmful if the Worker’s Compensation commission finds any of your disability fits within this third category called Thomas which are conditions that occurred after the accident and are unrelated to the accident. By way of example let’s say you have a 35% disability to your right shoulder from a work- related accident which equals one hundred and 75 weeks (175) of benefits. In addition, let’s say you have a 25% disability before the work- related accident due to heart disease and a prior back surgery for a total of one hundred twenty- five (125) weeks of benefits. Finally, after the work -related accident you slip and fall in a food store and injure your left hip and right leg and this translates into a 40% disability to your body. The 3 total to 100% disability which usually means you are permanently and totally disabled. However, in order to receive lifetime benefits, that you have to have either 100% disability from the accident itself, or at least a 25% disability from the accident itself and the balance of the hundred percent due to pre-existing conditions alone. If any of the disability is due to Thomas conditions that occurred after the accident and are unrelated to the accident than the amount of benefits that you will receive will be a fixed amount of benefits for certain period of time because you’re not entitled to be compensated for injuries that are resulted after the accident and are unrelated to the accident. Because the disabilities you had before the accident as well as from the accident, equaled 400 weeks of benefits, once the 400 weeks of benefits are paid, your benefits will stop and will not continue until you die. You will not receive the lifetime benefits because the disability after those 400 weeks of benefits is caused by disability that occurred after the accident and was unrelated to the accident. Therefore, is very important that you emphasize that any disability that you have is either from the accident itself or from a combination of the injury from the accident as well as any disability before the accident and minimize any disability that you had after the that was not caused by the accident. Please note the Subsequent Injury Fund gets the credit for any prior workers’ compensation awards. As an example, suppose the award against the subsequent injury fund would be worth $65,000. However, the claimant had a prior work related injury where he received a permanent injury award in the amount of $75,000. In that particular situation employee would not receive any money from the subsequent injury fund because the $75,000 prior award exceeds the $65,000 amount that employee would normally be entitled to under the present case. If the prior award was only $35,000 instead of $75,000 and the claimant would be entitled to an award of $30,000 after subtracting the $35,000 prior award. Finally, the last minefield that the employee needs to be careful of is a situation where either the disability from the accident does not exceed 25% or the disability before the accident does not exceed 25% even though the claimant is permanently and totally disabled. In either situation, even though the claimant is permanently and totally disabled, the claimant will not receive continuing benefits for the rest of their life because test1 or test two has not been met. By way of example, if the claimant has a 20% disability from the accident, and an 80% disability before the accident for a total of 100% disability the claimant will not receive permanent total continuing benefits because the 20% of the accident does not meet test one. The claimant will receive benefits equal to whatever 20% of the body. (100 weeks) In order in order to avoid this trap, it is important to emphasize that the disability from the accident is significant enough that it meets the 25% threshold. A similar example would be if the claimant has an 80% disability from the accident, and an 20% disability before the accident for a total of 100% disability the claimant will not receive permanent total continuing benefits because the 20% before the accident does not meet test two. In conclusion, Subsequent Injury Fund law is very complicated. Most lawyers who do workers compensation on a regular basis are not familiar with all of the above nuances. Employees on their own would certainly be lost. Employees should seek attorneys who have a lot of experience with the Subsequent Injury fund when they decide on a lawyer to represent them in a workers Compensation case. The final part of the process of a Maryland Workers Compensation Commission claim is what it’s like to go to a Maryland Workers Compensation Commission trial at the Maryland Workers Compensation Commission. On the day of the hearing at the Maryland Workers Compensation Commission you appear and there will be many other hearings for other claimants on that particular day. The hearings at the Maryland Workers Compensation Commission tend to take anywhere from ten minutes to two hours depending on how complicated the case is. When your case is called, you will go up to the witness stand. Your attorney will appear with you at the Maryland Workers Compensation Commission. At the trial table will be the lawyer who represents your employer and your insurance company and there may be an attorney from another fund called the Subsequent Injury Fund. The person, who hears the case is called the Worker’s Compensation Commissioner. The Worker’s Compensation Commissioner makes the decision in your case. You will typically not get a decision from the Maryland Workers Compensation Commission on that particular day as the Maryland Workers Compensation Commission is going to listen to your testimony, listen to the testimony of the witnesses, listen to what the lawyers have to say in closing, and then when the cases are over for the day, read over the medicals, compare that with the testimony and then render a decision. Sometimes you get the decision from the Maryland Workers Compensation Commission the next day. Sometimes it can take as long as a month. At the beginning of the hearing at the Maryland Workers Compensation Commission the witness will be placed under oath. Usually the person who’s filing the claim testifies first. And then the Worker’s Comp Commissioner will ask the following questions – What was the date of the accident? Is there a claim for dates missed, which is called temporary total? What are the issues that are to be heard in the case? What is the average weekly wage of the claimant? Meaning in the last 14 weeks before the accident, how much money did the claimant make? Those are the typical questions asked by the Worker’s Compensation Commissioner as part of the initial process of a worker’s compensation claim. How did you get injured in particular case? What is the date of the injury? On that date of the accident what were you doing? What were you supposed to be doing? What time did you get at work? Who were you with when the accident happened? Describe how you hurt yourself. What parts of your body did you hurt? Where there any witnesses? If so what are their names? Who did you complain about your injuries to? When did you complain about your injuries? What injuries did you complain about? Describe the mechanism of the injury, meaning how you exactly injured each part of your body. What did the employer do as a result of you telling them you were injured? What medical treatment did you have? Did you go to the emergency room right away? Did you go by ambulance? What treatment did you have at the emergency room? What recommendations did they make at the emergency room after that? Did the emergency room doctor give you time off from work? Did you follow up with the doctor? If so, what did the doctor do? What treatment did he provide? Did you have physical therapy? Did you have any x-rays? Did the doctor have any recommendations for surgery? Did you go back to work? If you didn’t go back to work, what type of work do you do? Why were you unable to do that type of work? If there’s a recommendation for surgery, specifically what is the problem, limitation or symtom you’re having? Why do you want to have the surgery? Are you willing to have surgery? Are you aware that the insurance company’s doctor’s states that you don’t need the surgery, that it’s not related, or that it won’t help you? Did you discuss that with your doctor? Do you still want to have the surgery? Have you injured the body before? Have you ever filed a worker’s compensation claim at the Maryland Workers Compensation Commission before? If you had, what body parts did you injure? Have you ever been involved in an auto accident before? What body parts have you injured? Where did you treat it? Were there any witnesses for this case? Who were the witnesses? Did you ever return back to work? If not why are you not working now? Did you have any of these complaints before the accident? If so what complaints did you have before the accident? What complaints do you have now? Are you able to go back to the type of work you are doing before? If not, why not? If yes, do you have any limitations? Are you able to do your full activities at home? Are there any activities at home that you’re not able to do that you used to be able to do? Let’s say you had shoulder surgery, now you have permanent issues from that. Are you able to get full range of motion with your shoulder? Can you lift it straight up? Can you lift it straight back? If you can’t, does it hurt? Describe what it feels like when it hurts. What motions make it hurt? What are the specific life activities that you can’t do? Let’s say you have a bad back. Can you bend? Are you able to stoop? Are you able to stand for long periods of time? If so, how long? Are you able to walk? If you can walk how long can you walk before you have to sit down? If you can’t sit for long periods of time how long can you sit? If it affects you when you’re sleeping, tell me when it does and what happens. Did you have a second job at the time of the accident? Are you able to do your second job? If not why not? If yes do you have any limitations from your second job? In a permanency claim I will go thru the complaints separately if you injured more than one body part. I will go through each body part. You have to take your time. This is your chance to tell the Commissioner all of the problems you have and you don’t want to leave anything out. I’ll ask you what type of work you’ve done past. Let’s say you are unable to do the type work you are doing before and were trying to figure out if you entitled the vocational rehabilitation and you need some help looking for new work. We ask you what your work history is. We’ll first ask you what type of work you did at the time of the accident. Why you’re not able to do that type work anymore? What is it about the injuries you have that prevents you from doing that? Is your employer willing to provide you light duty or make accommodations? If not what other efforts have you made to look for work? What other type of work have you done in the past? Can go back to that type of work? If not, why not? What is it about your injuries that limit you from doing work you have done in the past? What is your educational background? How far did you go in school? Are you able to work with computers, etc.? What other vocational training have you had? Are there jobs that you’ve ever done in the past that you could go back to doing. Do you need help by way of a vocational counselor to figure out what type of work you can do and then help looking for work? Then after the plaintiff’s attorney completes asking questions, the other lawyer gets to ask you questions on cross examination. The purpose of their cross examination is to try and make it look like you’re either exaggerating your injuries or exaggerating your inability to go back to the type of work you are doing before. They will also ask about prior injuries you’ve had. And while I asked you about prior injuries I’m just asking for some basic facts. They’re really going to get very detailed information from you regarding prior injuries. They’ll have your medical records from the prior injuries, but they’re really go through your medicals thoroughly to compare complaints you were having before and why the problems you’re having now are similar to those and that the problems you’re having today really aren’t related to the new accident but perhaps related to the old accident. They may have records about injuries that you didn’t report to your lawyer or doctor They can locate prior medical treatment by subpoena, or submit a request to a central agency where insurance companies as a group submit claim histories. Prior claims history would also be available at the Workers Compensation Commission or through judicial case search on the internet. They may ask about prior criminal record although more often than not the Worker’s Comp. commission will not allow this. They may ask in greater detail the actual treatment you have had that is related to the accident. If the issue in your case is whether you need surgery, they may ask you whether you discussed with the doctor, the negatives and positives, whether you’re aware the IME said that you don’t need the surgery or that you needed the surgery before the accident and this is nothing new. They may ask you whether you kept your appointments. They may ask about what you told different doctors at different times. Let’s say you went to a Dr. A and you told them you injured this part of your body then went to Dr. B and told them that you injured another part of your body. If your medical records are not consistent they will question you on this. The Insurance company attorney may call other witnesses to contradict your story. They can look on your Facebook page or any other social media page and see that you’ve been going to all these parties and celebrating when you are saying you are incapacitated. Finally, they may have been you on video. I can tell when the insurance company has hired a private investigator, to follow you with a video camera because they start asking at the hearing ‘Can you do this? Can do that?’ As soon as I hear that I know they’re about to play a video after you’re done testifying showing you doing the activities that you’ve just testified that you were unable to do. The insurance company may call witnesses including the employer to testify that whatever you said about the type of work you are doing is not correct or the work is lighter than you testified to and that based on the limitations the doctors have given you are able to do that type of work or that you were a lousy worker, that you been complaining about all these things from day one. Those are typical questions that are first set up by questioning you on this topic and then later putting on witnesses to say something else. If the subsequent injury fund is involved because you had significant problems before the accident, then there are a whole new set of questions that will be asked. What other medical conditions, injuries, workers’ compensation cases, auto accidents did you have prior to the accident? What permanent problems were you having from other medical conditions, injuries, workers’ compensation cases, auto accidents prior to the accident? Have they gotten worse since the accident? How did they affect your ability to work before the accident? How did they affect your daily activities before the accident? Next, the testimony will close, your case will be over, and the next case will start. Eventually you get a decision from the Worker’s Compensation Commission. That is what typically happens at a worker’s compensation commission hearing at the Maryland Workers Compensation Commission. Every employer in the State of Maryland is required to purchase workers’ compensation insurance. Any workers’ compensation claim is against the insurance company your employer has named. All workers’ compensation benefits are paid by that insurance company and as long as there is insurance, the employer is not responsible for any payments. Other than a workers’ compensation claim, no claim is actually filed against your employer, although he is notified that a claim has been filed with the Workers’ Compensation Commission in order to protect you if you are injured on the job. Workers Compensation benefits are just like any other benefit provided by the employer. If you have health insurance at work, you have no second thoughts about using the health insurance if you or your family is sick. If you have a life insurance death benefit at work, you would expect your loved ones to file the claim for death benefit under a life insurance policy provided by your employer. So, there should be the same comfort when filing the workers’ compensation claim. Can I File suit against my employer? Also, if the employer could prove that the employee was contributory negligent or assumed the risk, then the employee would not be able to sue the employer and the employee would receive no benefits. As a compromise between labor, the employers, employees and the government the workers’ compensation system was set up so that an employee could recover workers’ compensation benefits quickly even if the employee was contributory negligent or assumed the risk and even if the employee could not prove that the employer was negligent. THIRD PARTY CASE.CAN AN EMPLOYEE SUE HIS CO-EMPLOYEE OR SUPERVISOR WHO ALSO IS THE SOLE STOCKHOLDER OF HIS EMPLOYER CORPORATION? [A] supervisory co-employee performing a nondelegable duty of the employer—such as providing a safe place to work—does not thereby assume a personal duty toward his or her fellow employees. [Athas v. Hill, 300 Md. 133, 148, 476 A.2d 710 (1984)]. Such an employee is entitled to the benefit of the employer’s immunity, even though he or she negligently performed the employer’s duty. [ 5 ] Hastings, 336 Md. at 673, 650 A.2d 274. Kruse v. Schieve, 61 Wis.2d 421, 213 N.W.2d 64 (1973), 6 which the Athas and Hastings Courts cited, is instructive: **867 *468 “The duty of proper supervision is a duty owed by a corporate officer or supervisory employee to the employer, not to a fellow employee. Under what circumstances can a duty be owed to a fellow employee additional to and different from the duty of proper supervision that is owed to the employer by a corporate officer or supervisory employee? Clearly something extra is needed over and beyond the duty owed the employer. Thus, the Court in Athas recognized the established rule that § 58 allows an employee to sue a supervisory co-employee whose negligence caused an injury. Funeral benefits are covered up to the sum of $7000.00 unless a greater amount is approved by the Workers Compensation Commission. In addition to funeral benefits dependents are entitled to additional compensation. Amount of benefits due revolves around the concept of “family income. ”Family Income is the total of the average weekly wage of the deceased, combined with the average weekly wage of all dependents. Dependents can be anyone who can prove they were either partially or totally dependent on the deceased at the time of death including but not limited to spouse, children, dependent parents, dependent boyfriend or girlfriend etc. The average weekly wage of the deceased and all of the beneficiaries is determined as of the time of death and would be determined based upon the actual earnings of each for the 14 weeks before the accident. Once the family income is calculated, the deceased average weekly wage is divided by the family income and reduced to a percentage. The percentage is then multiplied by the maximum death benefit which is equivalent to two-thirds of the deceased average weekly wage, not to exceed the state average weekly wage. The total represents the maximum cumulative amount that is paid to all dependents. If dependents are not spouse or children of the deceased, then the most they can receive is $65,000.00. The benefits end on the date the deceased would have turned 70 years of age unless the benefits have been paid for less than 5 years, then the benefits will continue until the 5 years – worth of benefits have been paid. A child reaches the age of 18 unless child continues to attend school on fulltime basis in which case benefits can continue until age 23. A dependent child or spouse remains incapable of self-support due to mental or physical disability that pre-existed the death. Deaths must occur within seven years of the date of accident. The death claim must be filed as a separate claim from the employees claim within 18 months of the death for an accidental injury claim and two years for an occupational disease death. Although they had been married in 1949, the claimant testified that she and her husband had never pooled their earnings. She used her money to buy things she needed around the house such as linens and dishcloths. Some of it was also used for church and carfare. And she bought small things for herself such as hose and gloves at a cost of less than ten dollars a week. She could not explain, however, what was done with the remainder of her weekly earnings, but stated that she spent the couple of dollars she had left over at the end of a week on herself. She did not have a savings account; nor did she own any bonds or other securities. The claimant also testified that her husband made the payments on the house and paid for his lunches and carfare as well as for the food, fuel, telephone, clothes, insurance and medical bills for both. They were not paying installments on anything but the house, and they did not go to the moving pictures. Most of their free time was spent at church where her husband was a deacon. Instead, as the statute provides, the Commission determines the status of the claimant in accordance with the facts in each case as of the date of the fatal injury. Superior Builders, Inc. v. Brown, 208 Md. 539, 119 A.2d 376 (1956). Generally, a “dependent,” within the meaning of the statute, is one who relies in whole or in part upon the workman for the reasonable necessities of life at the time of the accidental injury. C.W. Wright v. Brannan, 217 Md. 397, 142 A.2d 574 (1958). Generally, one who subsists entirely upon the earnings of a deceased employee is a total dependent, but a legal or moral obligation to support a person does not create dependency in the absence of actual support. Mario Anello v. Dunn, 217 Md. 177, 141 A.2d 731 (1958). On the other hand, the courts do not demand that a claimant must show destitution in order to obtain an award as a total dependent. A claimant may receive temporary gratuitous services, occasional financial assistance or other minor benefits from sources other than the deceased workman but he must not have had a consequential source or means of maintenance in addition to what is received out of the earnings of the deceased. Larkin v. Smith, 183 Md. 274, 37 A.2d 340 (1944); Mario Anello v. Dunn, supra. In the instant case, the claimant had take-home pay of $28.50 per week while the deceased averaged $59.60 gross each week. The claimant contends that the present case differs from the Anello case, supra, because she denied pooling her earnings with those of her husband. While it is true that the claimant steadfastly refrained from admitting that she and her husband had pooled their income, the use of the term “pooled” by the courts in compensation cases is but one of convenience to point out that the claimant used a part of his earnings to pay the common household expenses. Whether earnings are in fact pooled must depend upon the circumstances, and the inferences deducible therefrom, in each case. An anomalous situation would ensue if a claimant could acquire the status of a total dependent merely by disclaiming the use of his earnings in or about the home or its affairs. According to the testimony of the claimant in this case she spent less than ten dollars a week for incidentals plus a couple of dollars she had left over at the end of the week — a total of not more than twelve dollars — leaving approximately $16.50 a week unaccounted for, which she apparently kept in her pocketbook along with the $50 a week she received from her husband for the household bills. If she did not use the balance of her money to pay household bills, she must have used it to partially support herself. In any event, it is clear that no money was left over at the end of the week. How it was actually spent is not important under the circumstances in this case. On cross-examination she did admit that, if a bill remained which “had to be paid” she “would take [her] own [money] and pay it.” And, while she reiterated that she would use her money only “if it just had to be,” she explained that fact by saying, “[w]e wasn’t separate, we were together.” The claimant should not be penalized for adhering to this commonplace concept of “togetherness,” but in a case, such as this where the earnings of the wife were substantial, where she did not subsist solely out of the earnings of her husband, and where she either could not or would not account for more than half of her net earnings, she cannot establish the status of a total dependent by merely claiming she did not pool her earnings with those of her husband. The Meyler case, however, did not hold that courts cannot consider conditions which existed prior to the injury. It did hold that rights which become fixed as of the date of the injury cannot thereafter be affected by any subsequent change of conditions. There is no reason why testimony as to facts and circumstances existing prior to the time of injury may not be considered in order to ascertain the status of the parties as of that date. Other evidence produced at the trial showed that prior to his incarceration, the prisoner had been employed by the Bethlehem Steel Company and was then contributing from $25 to $35 per week toward the support of his wife and children in addition to making monthly mortgage payments on a home he owned and in which his dependents lived. In addition to this the prisoner had also claimed an illegitimate child born prior to his marriage as a dependent in his income tax return for the year 1957. After the incarceration of her husband, the wife applied to the welfare department for financial assistance. This was granted and was continued until the death of her husband, when she qualified for social security benefits. There was also evidence that the wife had worked several days a week at $5 a day as a domestic, but that she stopped working after the receipt of the first welfare payment. The function of this Court in a case such as this is to determine whether there was any evidence legally sufficient to be submitted to the jury. We think there was. There was evidence that the decedent had supported the claimants regularly prior to his incarceration. And there was also evidence that the decedent would probably resume supporting his wife and children after he had been released from prison. There was evidence that the father occasionally gave the children some clothing and spending money. But with these trivial exceptions, he did not contribute anything toward their support, except when he brought them to his home in Havre de Grace for Christmas or for a few days in summer. It was undisputed that the children were not wholly dependent upon their father during the nine years they were living in the orphanage. Even assuming that the father had planned to build a house, and that there was a possibility that he could have carried out the plan to bring the children back to his home and support them if he had not been killed, we cannot disregard the explicit mandate of the statute that the question of dependency shall be determined from the facts existing at the time of the employee’s injury resulting in his death. Code 1951, art. 101, sec. 35(8) (d). As we said in Meyler v. Mayor and City Council of Baltimore, 179 Md. 211, 215, 17 A.2d 762, when the death of a workman ensues from an accidental injury, the right of his dependent to workmen’s compensation becomes fixed as of the date of the injury irrespective of any subsequent change of condition. The record is devoid of any evidence legally sufficient to show that the children were totally dependent upon their father. If the employment is considered casual then there is no workers Compensation coverage. What is casual employment under Maryland law. Moore 171 Md. at 53, 187 A. at 893-94; Marvil v. Elliott, 164 Md. 659, 165 A. 822 (1933). evidence was undisputed that the duration of the job was short, no more than one day, and that there was no prior relationship between the employer and the worker. Concluding that the worker was a casual employee, the Court noted that “[t]he nature of the work was temporary, the duration of the employment was only for a day, and it was occasional and incidental.” Id. at 450, 217 A.2d at 264. The Court rejected the argument that the scope and purpose of the hiring must be considered, along with duration and regularity of service, in determining whether the employment was casual, explaining:” But the scope and purpose of Lupton’s hiring by Milburn was only to complete the work which Lupton’s predecessor had left unfinished; the hiring was confined to completing a specific job on a particular piece of land which might `possibly’ take a day. Lupton also refers to the definition of casual employment given in 1 Larson, Workmen’s Compensation, § 51.00 (1965), that `Employment is casual when it is irregular, unpredictable, sporadic and brief in nature.’ Here, the employment was not only irregular but for a single occasion; Milburn had never employed Lupton before and had no plans to engage him for the future. It was unpredictable and sporadic, in that Lupton was only hired because Marx, who had originally been engaged by Milburn to do the work, had left the job. The hiring was clearly brief in nature.” Id. at 451, 217 A.2d at 265. East v. Skelly 114 A. 2d 822, 207 Md. 537 – Md: Court of Appeals, 1955 and Moore v. Clarke 171 Md. 39, 187 A. 887 (1936) both involved jockeys and, in both, the Court concluded, as a matter of law, that the jockeys were casual employees. Claimant worked 40 hours every week for 30 days and would have continued if he had not fallen off the roof. In Moore v. Clarke 171 Md. 39, 187 A. 887 (1936), the jockey, who was regularly employed by a trainer to ride that trainer’s horses, was hired solely to ride a horse in a race, by the horse’s owner, with whom he had no on-going relationship. Explaining our decision, we said:” In this case the employment extended over a period of but a few minutes at most, and while it was a part of a business in which the employer was regularly engaged, it was single isolated, complete in itself, was connected with no past or future employment, and when it was finished all contractual relations between the employer and the employee ceased. It was incidental and fortuitous in the sense that, while the employer must have employed someone to ride her horse, she was under no obligation to employ Hanford, and that while his business was riding horses in races, he was, until she employed him for that service, under no obligation to ride her horse in that race, or indeed to ride in it at all. The distinction between a casual employment and a regular employment is illustrated by his relation to Burch, by whom he was employed at a fixed monthly compensation to ride Burch’s horses, when requested by Burch, in any race in which they were entered, and his relation to Mrs. Clarke, by whom he was employed for a single race.”171 Md. at 54, 187 A. at 894. The jockey in East v. Skelly 114 A. 2d 822, 207 Md. 537 – Md: Court of Appeals, 1955 was a free- lance jockey, who had ridden horses for the same owner some ten or twelve times during a six or seven-month period, or about two percent of the races he had ridden during that time frame. 207 Md. at 539, 114 A.2d at 823. We noted “a complete analogy” between that case and Moore v. Clarke 171 Md. 39, 187 A. 887 (1936)., which we explained, as follows:” The jockey in the earlier case was a contract rider for a well-known trainer of a public stable. As is usually the case, he was free to ride in any race in which his employer did not have a horse entered. In the race in which he was killed, he was doing that, and riding for a trainer for whom he had ridden a number of times during the meet and for whom, but for the accident, he would have presumably ridden in the future. The methods of employment, the methods of payment and all significant facts are the same in the two cases.” Id. at 541, 114 A.2d at 823-24. Accordingly, we reached the same result, holding that the jockey was a “casual employee.” In East v. Skelly 114 A. 2d 822, 207 Md. 537 – Md: Court of Appeals, the jockey rode several times for the same owner however each ride was only minutes. In Marvil v. Elliott 164 Md. 659, 665, 165 A. 822, 824, a carpenter, hired to remove shingles from the eaves of a building, was injured when he fell from a ladder. Addressing the question presented, whether the injured worker was entitled to an award of workers’ compensation as an employee, the Court opined:” In the present case, the appellee was allowed by a property owner for whom he was working to be engaged temporarily by a contractor in charge of other work on the same premises. Upon the completion of the task to which the appellee was thus assigned, and which would probably have required not more than two or three hours for its performance, he was to resume his work for the first employer. The brief service he was undertaking to render for the contractor had no relation to any engagement between them in the past or future. It was limited to a particular occasion beginning and ending within a short portion of a single day. In view of its restricted scope and purpose, it must be regarded as casual within the meaning of the Maryland statute.”164 Md. at 665, 165 A. at 824. The Claimant employment was for 30 days and 40 hours per week. house steadily. Clayburn testified, without contradiction, that after Soueid first engaged him from the labor pool, Soueid told him he would give him a steady job, and Clayburn said that this was what he was looking for. After a few days, Soueid raised Clayburn’s pay, and called for him, not at the place where the other men, in a labor pool, awaited day’s employment, but at another location previously agreed upon between the two men. During the entire period, Clayburn worked for no one except Soueid, except for a day or two between April 3 and 8, when Soueid had said he would be out of town. The evidence is clear that Clayburn’s employment by Soueid was steady and pursuant to a continuing and individually arranged agreement. Id. at 340, 211 A.2d at 732-33.
he may be required to work for only short and irregular periods. When there is a continuing engagement to serve the employer in his business at such times as the particular and essential service may be needed, the employment is not `casual’ according to any of the judicial definitions of that term. In this case, the service required and rendered was occasional, but it was in pursuance of an engagement covering the whole of the working season at the employer’s plant.” Id. at 135, 106 A. at 255-56. We held that the worker was injured, and his death therefore resulted from, engaging in work that was a necessary part of the employer’s business, work that was done “under an employment which was not limited to the hauling then in progress, but applied to every recurring occasion for such assistance during the whole of one of the annual productive periods of the employer’s enterprise.” Id. at 136, 106 A. at 256. In the Claimant case, he requested employment for the winter and it appeared the employer was making an effort to accommodate that request, and he in fact was working and would have continued to work if not hurt. We may glean from the foregoing that where the facts and the circumstances of a given case reveal that the undertaking by the worker, on behalf of the employer, is not pursuant to an agreement providing for a continuous employment relationship, is of short duration and/or is temporary or sporadic, the employment, and therefore the employee, is “casual.” On the other hand, where the facts and circumstances reveal an agreement or arrangement, continuous in nature, calling for the worker to work for the employer, as and when the particular and essential requirements of the business demand, the employment, and therefore the employee, is not “casual.” And this is true whatever the duration or nature of any one or more of the component undertakings. McElroy Truck Lines v Pohopek 375 Md. 574, 826 A2nd 474 (2003) In summary the elements the appellate courts look at in order to distinguish between casual and regular employment are, the nature of the employer’s work, the scope and purpose of the hiring and the duration of the employment, Wood at 223, 300 A.2d at 670, “whether it is occasional, incidental, accidental, or a usual concomitant of the employer’s business.” The purpose of requiring these three elements is clear. If the employer is not in an ongoing business, and hires someone for a couple of days to do a small amount of work that is not usually in the course of the regular business of the employer, it is not reasonable or practical to require employer to purchase workers compensation insurance. On the other hand, if the employer is regularly in a certain business and hires someone for a brief period and if the employee is doing the regular work that the employer regularly performs, then it is not unreasonable to expect that the employer would provide workers compensation coverage.